This section is comprised of photos of families who have made Bangor their home. 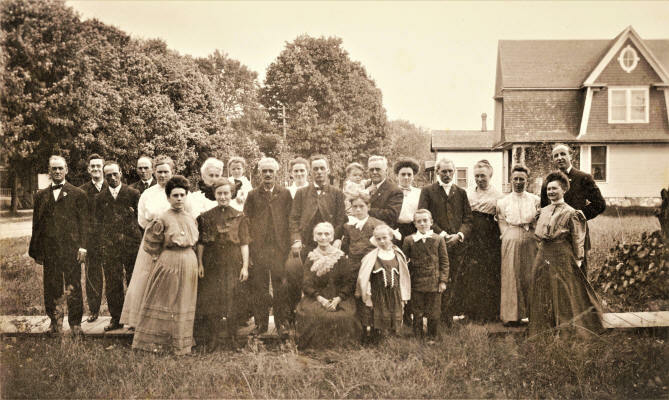 We hope this will become a genealogic resource for people looking for long lost relatives. We will post individual and family pictures for everyone to see. Photos are often labeled and there is a possibility that they may be mislabeled. Please contact us if you recognize someone, a mistake, or can give information as to birth, death, occupation, marriage, etc. If you have family photos and would like to post them here, contact us to make arraignments. There is also an unknown section. We need help identifying the people in the photos of that section. Most of the photos were taken in Bangor. Lets put a face to our community and bring the past to the present. Click a letter to jump to your last name. Charles E. Monroe Harriet E. (Palmer) Monroe Norman D. Murphy, Jr.
Olive Stuckum Randall "Jennie" (Rice) Hogmire Edson V. Root, Sr.
Cleo Sutherby Watkins Clifford & Jennie Waite Alfred Wood, Sr.